As hoards of people endure hours in the rain and cold to get the first tastes of Russian River Brewing’s most highly coveted seasonal brew up in Northern California and SF Beer Week, our annual HopWatch begins! 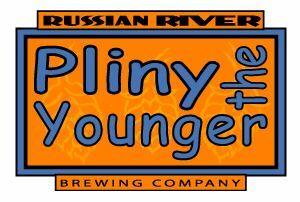 Keep your eyes peeled on this post as we update you on where you can find Pliny the Younger in Southern California. For the uninitiated, Pliny the Younger is Russian River Brewing’s famous triple IPA that is often ranked among the best beers in the world. We here at TFP have been following this trend for years , but for those of you who aren’t actively on the hunt, we’ve compiled a list of places who have announced their PTY events in the coming weeks. While under-the-radar tappings have already occured at Stone World Bistro (Escondido), Toronado (San Diego), and Pizza Port (San Clemente), there are still many opportunities to score a taste of this year’s Younger. Stay tuned as we update this running list as often as we can. Are we missing something? Leave us a comment or e-mail [email protected] with your tips! 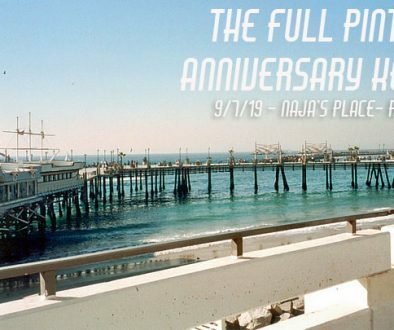 Naja’s Place (2/13): Another under-the-radar, no fuss tapping at Naja’s Place in Redondo Beach took place this evening. (Friday, 2/13). O’Brien’s Pub (2/14, 2/16 & 2/25): San Diego’s O’Brien’s Pub will be giving thirsty hop heads FOUR opportunities to try this triple IPA starting with Saturday, 2/14 at 5pm followed by Monday, 2/16 & and a third secret date. Those looking for a guaranteed pour should take advantage of their Charity Keg tapping o 2/25. Tickets for the charity keg go on sale on 2/13. Details: We will be selling the charity tickets for $20 per 10 oz glass with a maximum of 2 glasses per person. Those tickets will go on sale at 3:30 pm on Friday the 13th on the patio – we will have a separate line to take money for the charity Younger tickets. The tickets will be CASH ONLY and in the past they have sold out quickly. 100% of the money raised from those ticket sales will be donated to charity. Downtown Johnny Brown’s (2/15): San Diego’s Downtown Johnny Brown’s went incognito this year with an unannounced Younger tapping this afternoon (Sunday, 2/15). Reports at 4:15pm say that it’s still on, no word on the crowd. Neighborhood Gastropub (2/15): San Diego’s Neighborhood confirmed a low-key tapping of the Younger for 2/15. As of 2pm today (2/15), it’s still on, but it won’t last long. Hollingsheads Deli (2/16): Hollingshead Deli in Orange will tap PtY on a first come first serve basis along with a selection of other Russian River goodies at 10am according to their website. The Salted Pig (2/16): Riverside craft beer destination The Salted Pig will tap the Younger at 11am on 2/16. $8 for one eight-ounce pour, limit one per customer on a first come, first serve basis. Stay tuned on Facebook for updates. Eureka Burger – Claremont (2/16): Tickets for the Younger go on sale at 10am with beer being tapped at 3pm on Presidents Day. 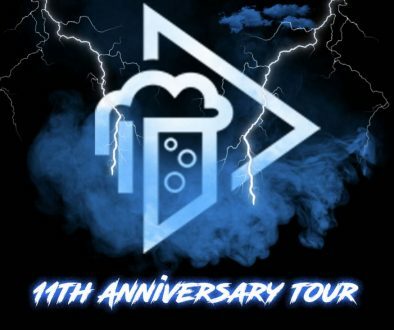 Tustin Brewing Company (2/18): While Tustin Brewing Company will be tapping various Russian River kegs all week long (2/16-2/20), Pliny-hounds have to head there on 2/18 to purchase a ticket to claim a pour after 3pm that day. Tickets are sold on a first come, first serve basis starting at 11am. $8 for one eight-ounce pour, limit one per person. The Daily Pint (2/18): Ticket-holders from their two-day ticket sale are able to redeem their pours of the Younger any time today. No ticket, no Younger. 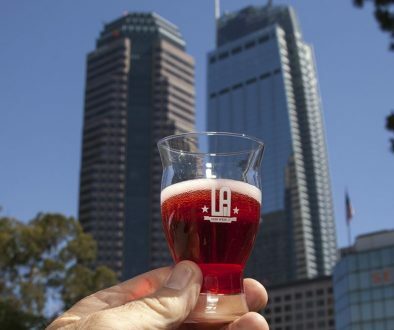 Library Alehouse (2/18): No confirmed time (possibly evening), low-key tapping at Santa Monica’s Library Alehouse. Beachwood BBQ’s Pliny Fights Cancer Charity Raffle: For the 4th year in a row, our friends at Beachwood BBQ are holding their annual Pliny Fights Cancer Charity Raffle. Tickets are on sale now at both Seal Beach and Long Beach locations until Feb. 21st at $5 a pop. Names will be randomly selected on Feb. 23, with winning pours of PtY available for redemption between Feb. 24th & March 5th. Click here for full details. 38 Degrees Ale House & Grill (2/21): Tickets to access the 38 Degrees Russian River flight ($14) are once again granted on a first come first serve basis. The flight of rare offerings will include PtY, so get there early and don’t forget to tip well! Pliny madness begins at 11:30am on 2/21 according to Facebook. Tiger! Tiger! (2/21): Tiger! Tiger! in San Diego will once again sell pre-sale tickets for their PtY tapping which will benefit a charity. Buy your Pliny tickets for Tiger!Tiger! on 2/14 at 11am here. Mohawk Bend (2/21): Echo Park’s Mohawk Bend will continue in their Saturday brunch time tradition. Line up early in order to snag a coveted ticket which they will begin handing out at 9:30am. From then, guests can grab a bite and beers as they wait for a staggered release from 11am onward when the keg is tapped. It’s like being in line…without having to (you guessed it)…be in a line all day. Blind Lady Ale House (2/22): Following in their sister property’s lead, BLAH will sell tickets for their charitable Pliny the Younger night starting Sunday, 2/15 at 11am. The keg gets tapped at 11am on 2/22. Haven Gastropub (2/22): The Orange County pub will be tapping PtY on Sunday, Feb. 22 at 9am on a first come first serve basis. Historically, this line has been very long, so get there early to secure your spot. Follow @havengastropub on Instagram to stay up to date. Encinitas Ale House (2/22 & 2/23): To alleviate some of the chaos, Encinitas Ale House will pre-sell gift cards worth one pour of the Younger on 2/16 ONLY (Cash Only, too). Your card is good for a pour any time on 2/22. They will open the remaining amount of PtY at 4pm on 2/23 to everyone else. Father’s Office – Santa Monica (2/23): First come, first serve! Younger taps at 6pm. Pizza Port Carlsbad (2/24): Tapped at 11am in Carlsbad! First come, first serve. Tony’s Darts Away (2/24): Tickets distributed at 4pm for a 6pm tapping. One pour per person. $6.75 gets you a pour or upgrade to the $10 pour + “I Got Younger at Tony’s” glass. Boneyard Bistro (2/24): Once again, Boneyard regulars got the skinny of their low-key tapping this evening. The Crow Bar & Kitchen (2/25): Our friends at The Crow Bar & Kitchen have confirmed their PtY event for 2/25. Tickets go on sale at 11:30am for the 3pm tapping. Come early and stick around for lunch and a slew of other hoppy goodness on tap that day. Verdugo Bar (2/26): Verdugo has confirmed their 2/26 event which encourages folks to come early for the 6pm opening in order to guarantee a spot for the 8pm tapping. SD TapRoom (2/28 & 3/7): SD TapRoom in San Diego will have TWO tapping dates for the Younger. The first on 2/28 at 11am (first 100 customers at 10am) then again on 3/7 at 12pm (first 100 customers at 11am). Limit one pour per person. Details here. Blue Palms Brewhouse (2/28): The Hollywood craft beer bar has confirmed that they will be tapping a keg of Pliny the Younger on 2/28 at 11am. This year Blue Palms’ annual Pliny the Younger Charity event will be in benefit of the City of Hope Cancer Research Hospital. This is a cause very close to their hearts, as cancer has recently struck some members of the Blue Palms family; we hope you can join us in supporting them. We will be offering 8oz. pours for $20 each. Tables will be reserved for ONLY those ordering food in addition to their drink. The Bottle Room (2/28): Whittier’s The Bottle Room has confirmed with TFP that they’ll be hosting their Younger event on 2/28. More details are TBA, but make note that doors are up at 10am. Lucky Baldwin’s – Old Town (2/28): LB’s Old Town Pasadena location will tap PtY on 2/28 at 1pm. Tickets go on sale at 11am. Lucky Baldwin’s Trappiste (3/1): Tickets for the Younger tapping at the East Pasadena location will go on sale at 11am for a 1pm tap time. The Surly Goat (3/5): The Surly Goat in West Hollywood have confirmed that they’ll be tapping the Younger on 3/5 at 6pm! You best get over there to fill up your Surly Goat passports if you’re looking to shave some time off your wait. 40+ stamps gets you in 15 minutes early, 60+ stamps gets you in 30 min. early, and 80+ passport stamps gets you in 45 minutes early! Surly’s Russian River event draws crowds annually- check out their killer tap lineup here. Mediterraneo (3/9 & 11): The Hermosa Beach restaurant will host a Russian River Brewing Beer Dinner featuring the Younger with other goodies for $80 on 3/9. Additionally, you can reserve a 10-ounce pour for $8 to be redeemed any time on 3/11. Space is limited. Call 310.318.2666.